Have you been looking for a Hairstylist in Salisbury and the surrounding areas? Offering haircuts, hair coloring and styling in Salisbury and greater region for over years has allowed Rob Fooks to build a strong local reputation. Rob prides himself with his raving reviews and the customer service he provides. 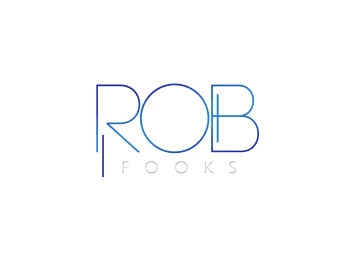 Rob Fooks can't wait to start working with you! Rob truly knows how to have you looking and feeling your absolute BEST!!" "I've been going to Robert for about seven years now. I come in, sit in the chair and let his visions come alive. During the seven years, I had my first weave, my first transition to blonde, and my first major hair cut. Every time I was more than satisfied. Not only has he brought my visions alive, but he has also taken care of my hair and always kept my hair healthy. He is professional and is always aware of current trends. I can't imagine going anywhere else. The trust that I have gained in his expertise is far beyond anything I could imagine. I can literally sit in the chair and tell him to do whatever he wants and know I'll love it every time!" "For years I have worn synthetic lace front wigs they're cheap and convenient and I can just toss them when I'm done of course that gets to be a bit expensive after a while and they don't last very long. Rob Fooks created a unit just for me which is much better than wearing lace fronts because they usually don't fit properly. He colored cut and styled it precisely to fit my face. Unlike the synthetic units this one can be washed and styled over and over I LOVE IT!!!" "I love my custom installment by Rob! I have been wearing hair weaves and extensions for 3 years and have always had at least a little hair left out in an effort to make it look natural. Well, my custom installment looks fabulously natural and there's no damage to my hair. I can exercise, pull it back, curl it or wear it straight. It was made especially for me and that is evident! In my profession as a broadcast journalist, hair and makeup are essential. Well, I never worry about how my hair looks on-air thanks to Rob! My custom installment has changed my life, and I absolutely love it!" "ROB FOOKS, is an exceptional, creative, knowledgeable and caring stylist. I totally trust him with my hair needs; he does a superb job, styling and refining my desired style and keeps my look professional. I would recommend his gift of hair to the world! He's a force to be reckoned within the hair industry." From a clean up to a redesign, Rob Fooks will make your dreams come true!